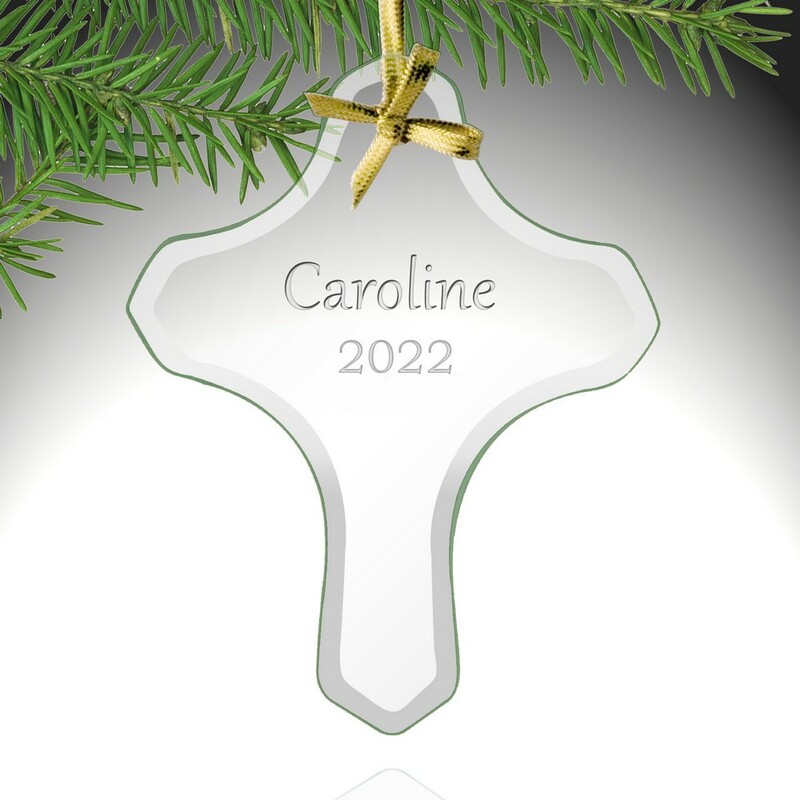 Present this personalized glass cross ornament this Christmas, and remember the reason for the season! 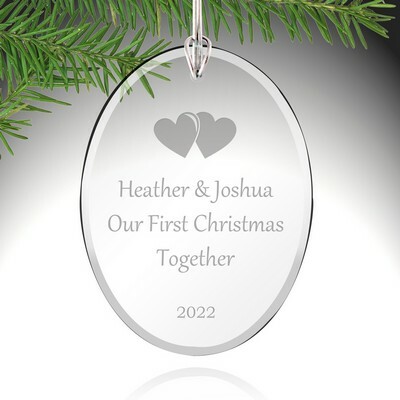 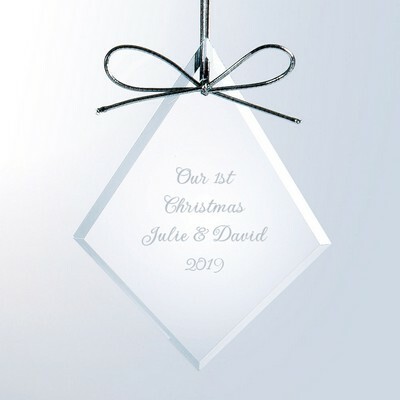 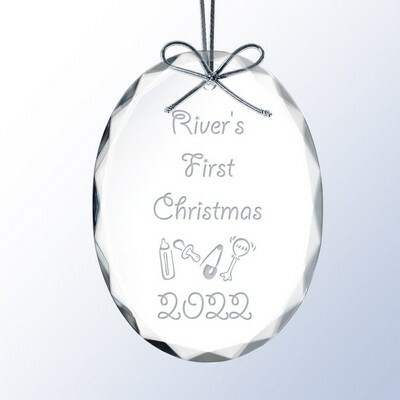 A custom Christmas ornament is the perfect addition to any tree, and this glass cross ornament can be customized with up to two lines of laser engraving. 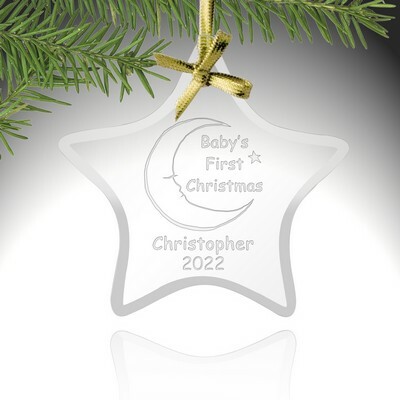 The 3 1/2" x 4 1/2" x 1/8" religious ornament comes with a gold ribbon, ready for hanging. 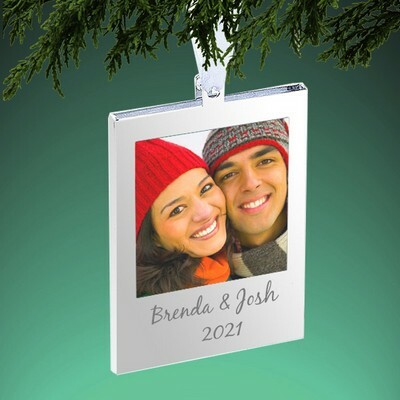 This custom Christmas ornament is a fitting gift for everyone on your list, and is a delightful way to spread some Christian Christmas cheer! 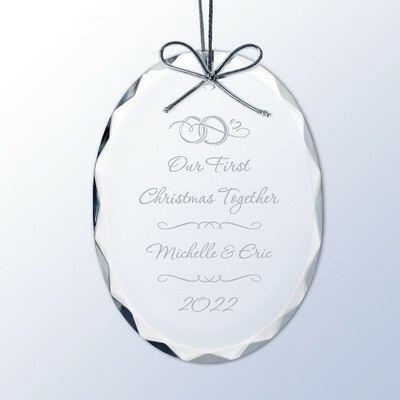 Personalize this gift with a name or a special message. 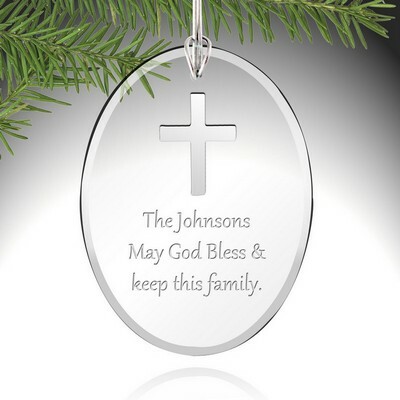 Comments: Giving this as a little gift to my grandmother who is religious. 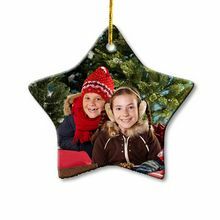 She loves to decorate her tree with ornaments that have a religious touch. 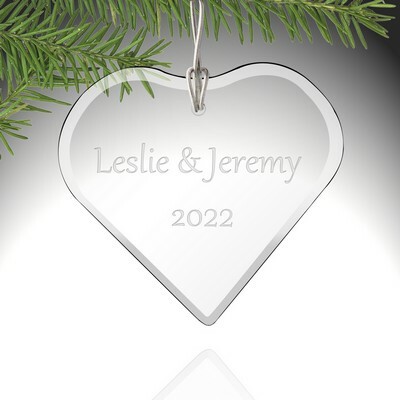 I personalized it with a short bible verse. 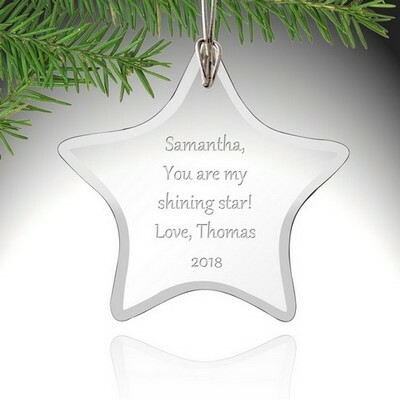 She will be happy when she sees it.